Change comes slowly to the frozen North. Harnesses were unknown in Alaska until the advent of the white man. Captain Cook and his expedition of 1778 found the Eskimo dogs pulling sleds by the same leather thong around the neck that their predecessors had used thousands of years before. The early explorers of the arctic region were required to learn “sledging” quickly; after all, falling below the learning curve in the northern environment often resulted in death. These early explorers, along with hunters and trappers, were the first European mushers. These men quickly discovered that the best way to traverse the arctic regions was the way the natives had traveled for centuries, by dog sled. There is little doubt that the first modern contact of white men with native dog teams occurred during the sixteenth century, when explorers from European Russia forged east into Siberia. These men traded with the friendly Samoyed tribes throughout the latter sixteenth century. The exploration in the next two centuries brought the Europeans into contact with the less friendly tribes of Chukchi, as the explorers attempted to determine if their continent was connected to North America. In 1820, Ferdinand vonWrangell, a Russian naval explorer, began the series of trips utilizing dog teams which ultimately proved that Asia and North America were indeed separate continents. Before leaving the arctic vonWrangell decided on a final sledging trip. It was nearly his last. His group was traveling on solid ice an astounding seventy miles from shore, when a gale ruptured the ice they were traveling on. The ice began to separate from the mainland, creating ever-widening lanes of black, icy water. A frantic race for the shore ensued. 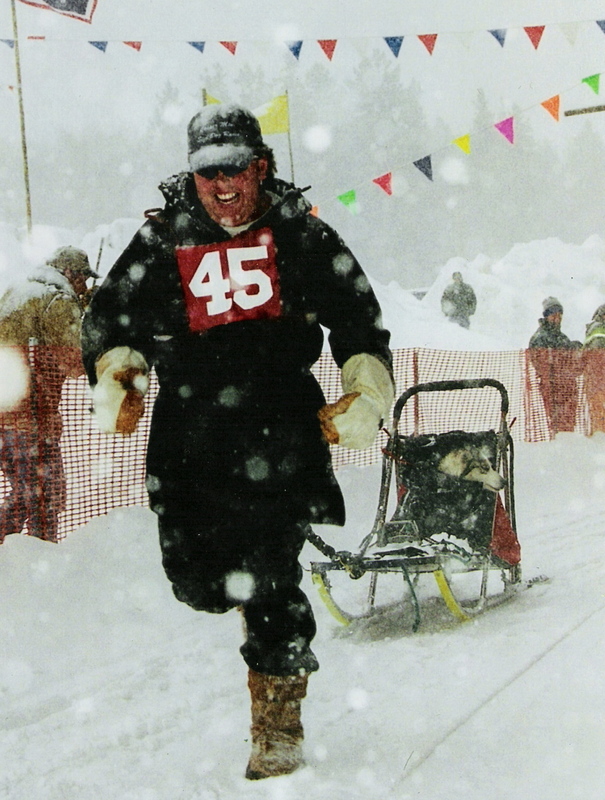 vonWrangell’s team persevered and won the race of survival, a feat that he attributed to the speed of his dogs, as well as, their ability to swim across the frigid leads of water. Other voyagers were not as fortunate as vonWrangell. Ill-fated expeditions were often ignorant of the natives’ survival techniques, and thus paid the ultimate price. The 1845 Franklin Expedition was to be one of the ill fated, and arguably one of the most famous arctic disasters of all. The explorers of the icy regions of this planet began to depend more and more on the art of sledging to reach the North and South Poles. When the brave men finally reached the poles, their courageous dog teams aided them. These journeys to the very ends of the earth will be explored in more depth later in a different article. The explorers may have explored for purely scientific reasons, but their financiers were often more interested in potential profits than in any scientific discoveries. The early explorers located and documented an abundant source of wildlife. The hunters and trappers quickly followed the explorers’ footsteps, with the hope of striking it rich in the fur trade. Traders that belonged to the Hudson Bay Company adopted native systems of travel. These traders became very adept at using dog sleds in the winter, and canoes in the summer. By the 1840’s most traders were traveling by long birch-bark toboggans that were better suited for the soft, deep snows of the forests. These sledges were often pulled by four dogs, and were in those days referred to as “dog trains”. More than one “dog train” traveling together was referred to as a “dog brigade”. A “ dog brigade” in the 1880’s was, by all accounts, a “sight to see”. The dog driver was often clothed in beaded moccasins, leggings and mittens, a colored sash about his waist, and his head was adorned with a brightly colored, knitted cap. His colorful arrival was heralded in advance by the singing of brass bells that were attached to the harnesses of the dogs.